If you do not receive a welcome email after installing the Community Edition plugin, check your spam folder. If there is nothing in your spam folder, you may resend the email to yourself on the Account Settings page. To get to Account Settings, click on the gear icon next to your name and select Account Settings from the drop-down menu. 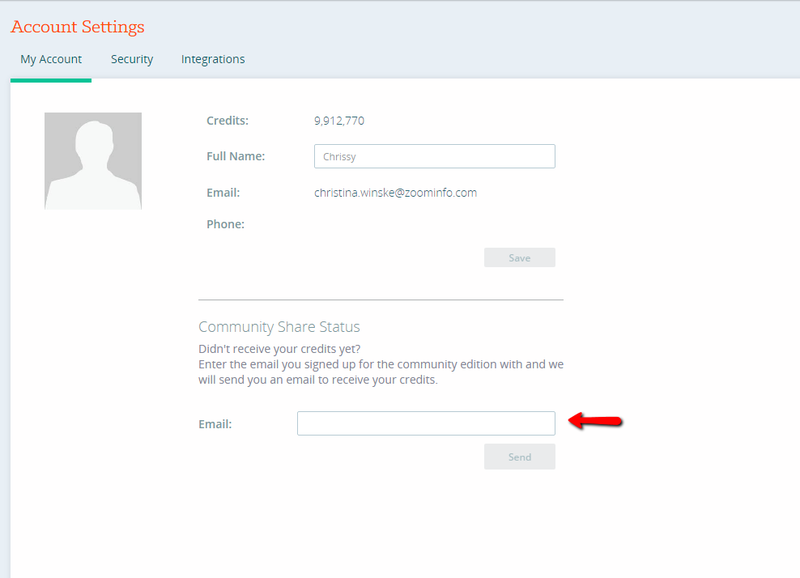 Navigate to the box labeled Community Share Status and enter your email address. Then click send. You should receive a welcome email within the next few minutes.